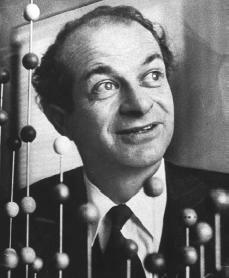 Linus Pauling was an American chemist and pacifist awarded the 1954 Nobel Prize for Chemistry for his work on the chemical bond (see also electronegativity) and the 1962 Nobel Peace Prize for his support of unilateral nuclear disarmament. Pauling was a pioneer in applying quantum mechanics to the field of chemistry. His early work on the application of wave mechanics to molecular structure, detailed in his book The Nature of the Chemical Bond (1939), led to his winning the Nobel Prize in Chemistry. In the 1950s, he worked on the structure of proteins, and his suggestion that the molecules of DNA were arranged in a helical structure anticipated the findings of Francis Crick and James Watson. He is known also for advocating massive doses of vitamin C to treat the common cold and for general health. A leading figure in the campaign for nuclear disarmament, Pauling was awarded the 1962 Nobel Peace Prize.